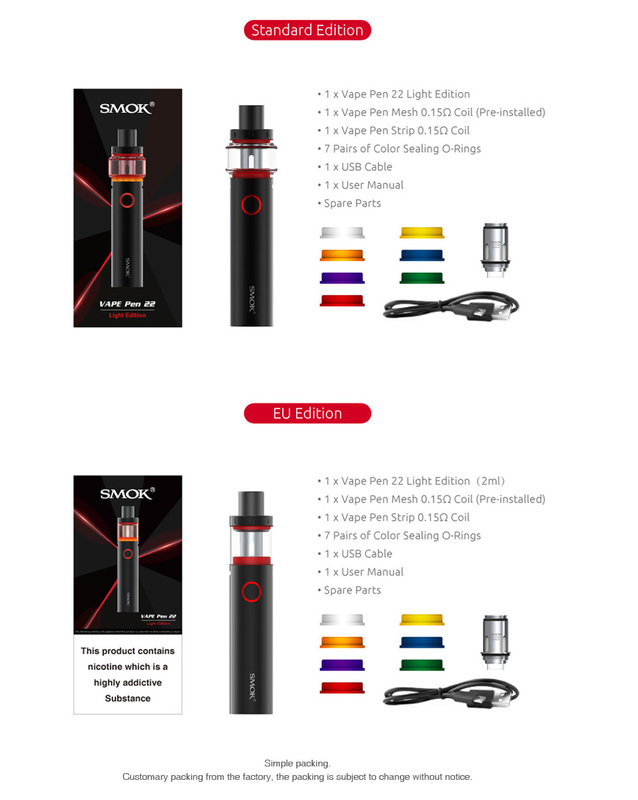 Say hello to the SMOK Vape Pen 22 Light Edition Kit! 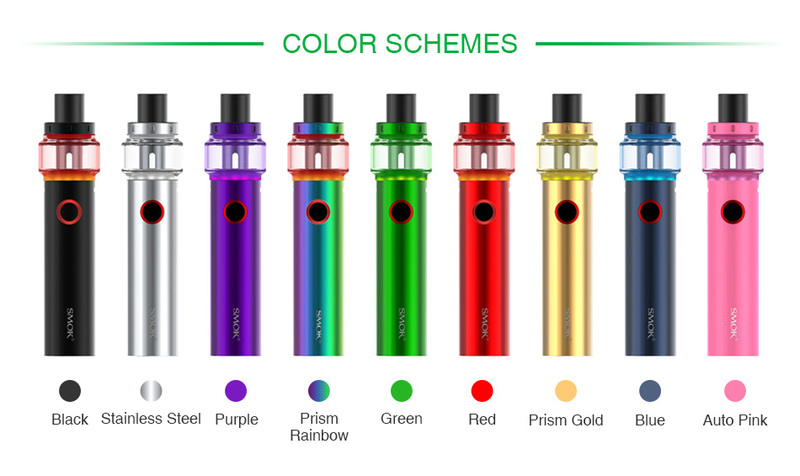 It is an advanced version of Vape Pen 22, which features the LED light at the tank base with compact size and classic design. 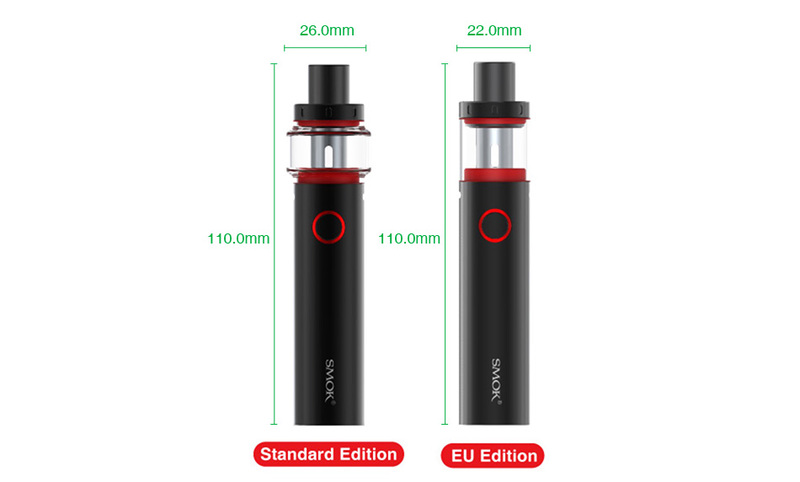 With a diameter of 22mm and built-in 1650 mAh battery capacity, the well-designed vaping device will bring you huge clouds and optimal flavor with its multiple protection systems. The tank also has the revolutionary Vape Pen mesh coil and strip coil which can heat evenly and absorb e-liquid effectively. Together with the air slot and easy top refilling, the Vape Pen 22 Light Edition Kit is definitely an ideal vaping device which will bring you an unprecedented vaping experience.